This customer company is widely well-known in Jiangsu Province, China. 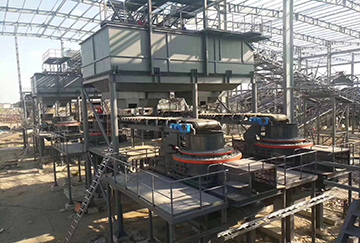 To expand aggregate production scale and to cater for the trend of green development, the customer decided to spend 500 million yuan establishing an environmental aggregate crushing line after getting approval of the government. The project occupies 100,000m2. After multiple investigations and comparisons among domestic machine manufacturers, the customer company finally chose SBM as its cooperative partner. 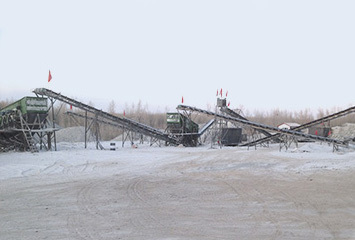 The project uses both single-cylinder cone crushers and multi-cylinder cone crushers. 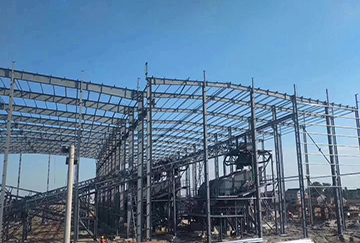 The combination of coarse crushing cavity with fine crushing cavity guarantees not only the capacity, but also the excellent shape of final products. After this project is completed, it is expected to produce 10 million tons of aggregate annually. 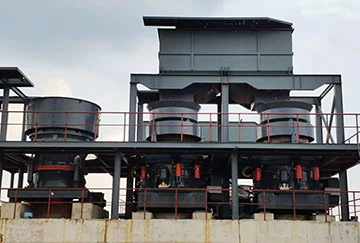 After deep and professional analyses of raw materials, SBM recommended the customer to use cone crushers for crushing and vertical-shaft sand-making machines for artificial sand production. 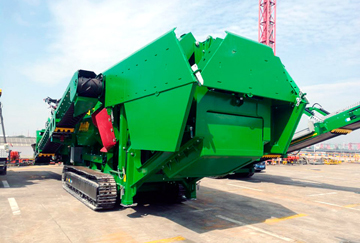 SBM's cone crushers are optimized technologically which adopt special laminated crushing principle. 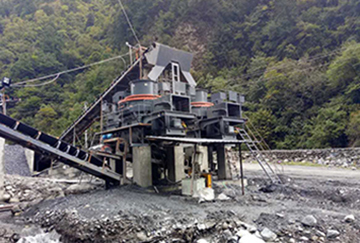 This kind of crushing principle is helpful to bring final products with better shape on one hand and to lift crushing efficiency on the other hand. Besides, SBM’s sand-making machines have two functions. By simply changing the equipment structure and feeding mode, they can realize aggregate shaping and sand making simultaneously. The aggregate produced usually has excellent granularity and shape. SBM's cone crushers use a centralized intelligent LCD (Liquid Crystal Display) which can monitor operational situations, oil temperature and pressure and so on in time. Meanwhile, they adopt fully hydraulic control such as adjustment of discharge port, automatic clearing and automatic iron-pass protection, not only reducing labor costs, but also greatly shortening the time for equipment maintenance, which further maximizes economic profits. For production of each machine, SBM always holds the spirit of craftsmanship and art. We are extremely strict at every step because we want to deliver impeccable products for our customers. All our machines are produced with various advanced technologies such as the numerical-control laser cutting, high-precision numerical-control bending, top numerical control machining, robot welding, hot riveting process, SA2.5 spraying process and so on. Besides, to produce perfect machines, we enter into business relations with some famous brands such as ABB, SIEMENS, DANFOSS and Bao Steel. For example, key parts of cone crushers like the crushing wall and the rolling mortar wall are made from wear-resistant high-Mn steel while the bearings are from several well-known brands including SKF, TIMKEN and ZWZ. All these efforts are only to keep stable operation of equipment and to extend the service life of vulnerable parts. This project adopts the wet process. A sewage disposal system is equipped. After treatment, the recycle ratio of sewage can reach 95%. The pollution during operation is controllable. The emission of air pollution waste is below 10mg/m³, farther lower than the national standard of 30mg/m³. So, the production, on the whole, is green and environmental. HST Single Cylinder Cone Crusher, HPT Multi-cylinder Cone Crusher, VSI6X Sand-making Machine, S5X Vibrating Screen.